The C3 Milling Attachment also doubles as a variable height tool holder which can be locked in position for rigidity. The slide pivots about a bolt through the cast iron angle bracket and a protractor is provided for angle setting. On a C3 Lathe, the slide locates via a pin and is fixed with 2 screws to the cross slide (in place of the compound slide). 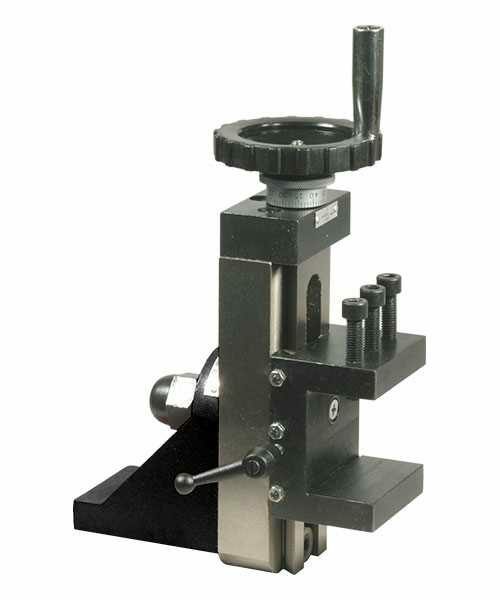 Other similar Mini-Lathes - please check dimensions.